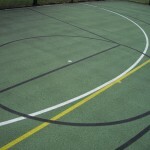 If you are in need of basketball court cleaning specialists, we offer these services throughout the UK. 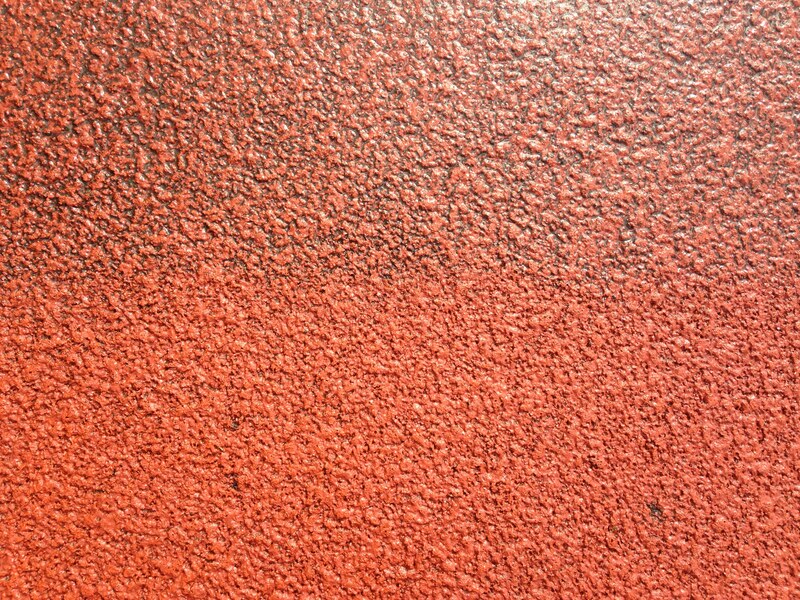 It is common for sports surfaces to become contaminated over time and with heavy use, but with regular cleaning this can be prevented. We’ll apply a thorough jet wash to the flooring to remove any debris and reduce the chances of moss growth or waterlogging. It is also recommended that you routinely brush the area to get rid of any leaves or mud which may have settled. Our team would be happy to speak to you about the costs for these services if you are interested in having this for your facility. Just contact us through the enquiry form on this page and let us know what you need so we can provide a quote. There are lots of different methods of cleaning and maintenance which can be carried out to make sure that your sports pitch is completely clean. The simplest cleaning methods include regular brushing and using a pressure washer to remove any contaminations such as twigs, leaves and other debris that could have fallen on to the court. Consistently cleaning your basketball surface will make sure that the performance characteristics stay at the top level and help to improve the longevity of the surface. 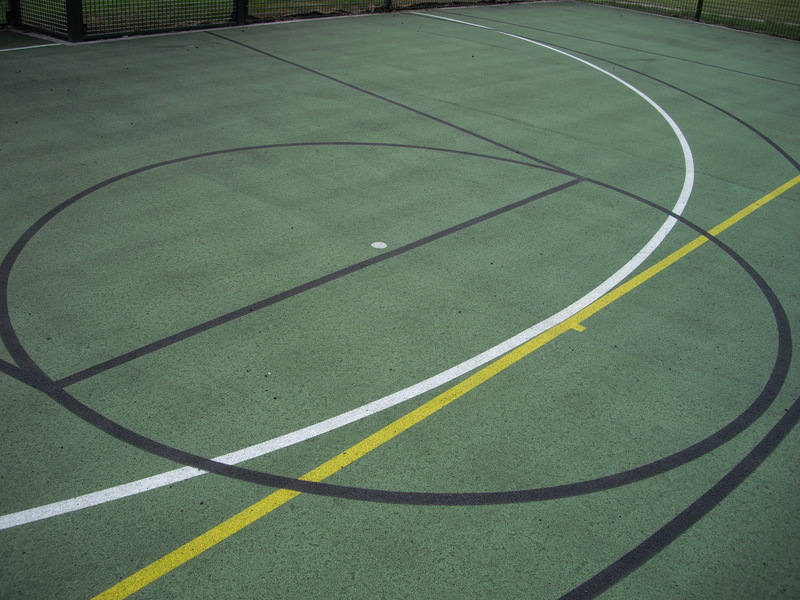 Basketball surface cleaning is extremely important in maintaining good water drainage, if the court becomes contaminated with moss and algae, the pores of the surface will clog up meaning that water won’t pass through. The easiest way to spot this issue is pools of water becoming apparent on the surface. 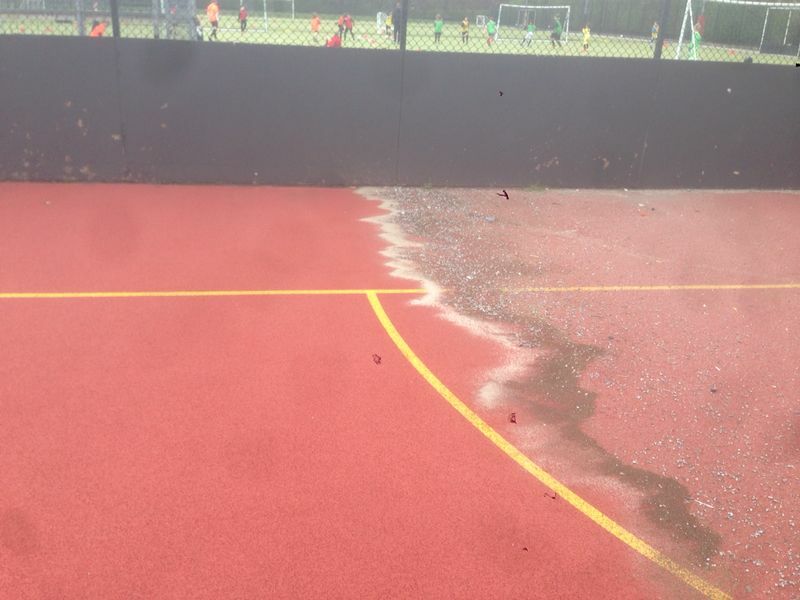 If your sports surface becomes particularly dirty and contaminated, it may require a specialist refurbishment process which we can complete to restore the original performance characteristics. 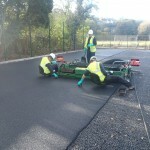 However it is more cost effective to keep up with regular maintenance and prevent problems rather than dealing with them afterwards, so we always advise that you have a routine in place for cleaning your basketball court. 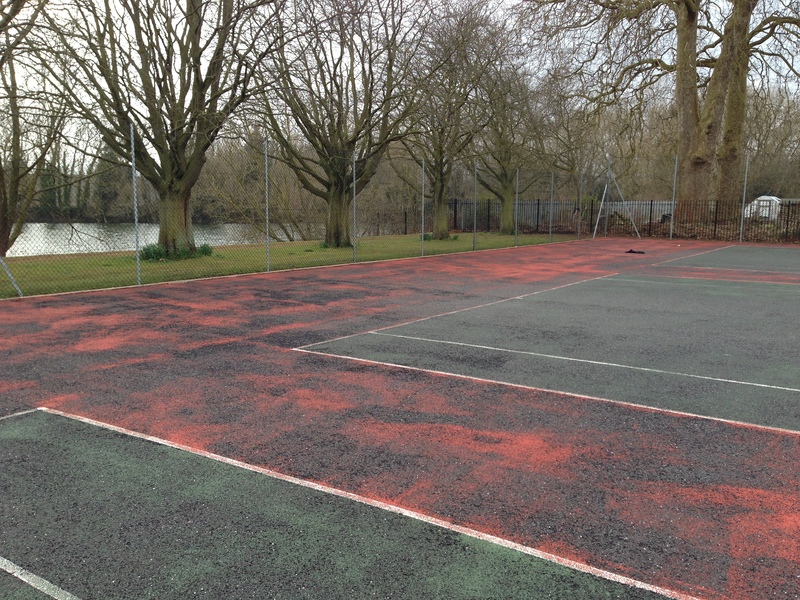 The overall safety of the court is massively improved after a deep clean as well, this eradicates any slippery areas that could lead to serious injury and it also reduces the chances of any twigs and branches causing damage to the players or the surface. This is vital if you are renting the basketball facility out to members of the public as it helps to keep the sports court as safe as possible for everyone who uses it. If you would like some advice about how to look after your sports court, or you are in need of professional cleaning and maintenance services, please contact us. You can send us your details through our simple enquiry form and let us know what you need so we can send you all of the relevant information. 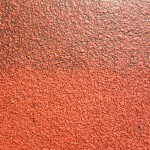 The costs for cleaning basketball surfaces will generally vary depending on the size and dimensions of the court in question. 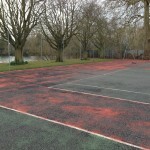 The bigger the court the more water and chemical agent will need to be used, which ultimately will increase the price. We understand that costs of maintenance and cleaning can sometimes be expensive, but you can enjoy your facility a lot more and for a lot longer if it is properly cleaned and maintained on a regular basis. 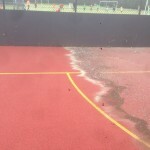 Costs of jet washing the surface should be taken into account when preparing the budget for a project like this. 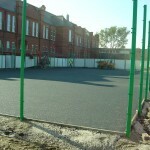 The services we offer can be applied to any basketball court surface type including polymeric rubber and porous tarmac, and we can also install these surfaces if you would like a brand new facility. 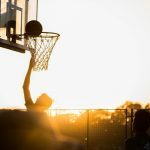 Putting a regular basketball cleaning schedule in place can save money in the future as it will be less likely that you will have to repair or resurface your court as much, this will help save money and time. We make it our goal to give you a high class, professional set of services that will make your life easy and ensure you will get the value for money you deserve for your sports facility. We will help to keep costs for basketball court cleaning down and make sure you stick within you budget. Be sure to fill in our contact form today if you’d like to speak to an expert about what we can do for your school, college or club. We have been working throughout the UK for many years so we have plenty of experience in working with different clients. Just let us know what you need and we’ll respond with a price quotation for you.